Maurice Woulfe was born on November 21, 1912, in Knockeen, Castleisland, County Kerry, Ireland. He was the son of Maurice J. Woulfe and Johanna Scollard Woulfe. His siblings included Hanora May (b. 1904), Mary (b. 1905), James (b. 1907), David (b. 1909), Richard (b. 1910), and Patrick (b. 1914). Woulfe's uncle, the Reverend Patrick Woulfe, was a longtime priest in County Limerick and the author of Sloinnte Gaedheal is Gall, a study of Irish names and surnames published in 1923. His paternal grandmother, Honora Maher, was herself the daughter of a Woulfe, Ellen Woulfe Maher, much of whose family immigrated to Illinois and Iowa during the mid-nineteenth century. First educated at the Irish Christian Brothers School in Tralee, Woulfe studied for the priesthood at Saint Brendan Minor Seminary and Saint Patrick Major Seminary, in Thurles, County Tipperary. He was ordained at Saint Mary Cathedral in Thurles on June 13, 1937. Assigned to the Diocese of Buffalo, New York, Woulfe arrived in New York City aboard the President Roosevelt on August 28, 1937. Nearly every member of the Woulfe family from West Limerick and North Kerry who immigrated to the United States dropped the "u" in Woulfe. Maurice Woulfe did not. He was naturalized a U.S. citizen on January 25, 1943. Shortly after his arrival in 1937, Woulfe was reassigned to Saint Mary's Cathedral in Cheyenne, Wyoming, where he served as an assistant pastor until 1939. That year he transferred to Saints Peter and Paul in Jamestown, New York, and the year after to Immaculate Conception, in East Aurora, New York. In 1941 he became associate pastor of Our Lady Help of Christians, in Cheektowaga, New York, near Buffalo, staying for eight years. During that time, he also served as chaplain of the Erie County Council of the Boy Scouts of America (1941–1948) and as an auxiliary chaplain in the U.S. Army (1942–1945). 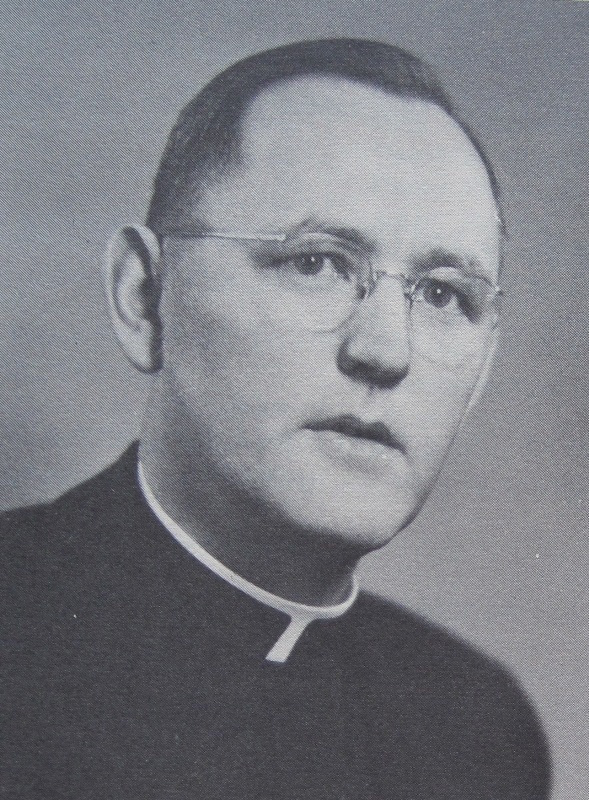 In 1949, Woulfe was appointed Youth Director of the Diocese of Buffalo, a position he held for thirteen years. In 1963, the national Catholic Youth Organization presented Woulfe its Padre of Youth Award. He also served as administrator of Our Lady of Peace Church, in Clarence, New York, from 1952 to 1955. In 1946, while a pastor at Our Lady Help of Christians, in Cheektowaga, Woulfe recommended to the bishop that the church purchase property at Cleveland Drive in the town toward the creation of a new parish that became the home of Infant of Prague Church, which first opened in 1962. That same year, Woulfe became the parish's second pastor. The thousand-seat church was renovated and rededicated in 1978. On January 13, 1968, the Kerryman newspaper in Ireland reported that Pope Paul VI had appointed Woulfe a Domestic Prelate with the title Right Reverend Monsignor. Woulfe died in Buffalo on December 16, 1989, and was buried at Mount Olivet Cemetery, in Tonawanda, Erie County.